Acupuncture is one of the oldest and most widely form of healthcare in the world. It’s thought to be around 5,000 years old and billions of people still use acupuncture as a primary means of treatment for over 2,000 different conditions. Q: Who does the acupuncture treatments at your clinic? A: All three of our doctors are certified to provide acupuncture. Q: How do I know if acupuncture is right for me? A: We always do a complete consultation and examination on all new patients. The doctor will be able to assess your specific condition and then give you a complete report on whether or not acupuncture would be of potential benefit for you. Q: Who’s eligible for acupuncture? A: With very few exceptions, everyone is a candidate for some form acupuncture treatment. Our youngest patient is one week old and our oldest patient is 96 years old! Q: What do you use for acupuncture treatments? A: The doctors are trained in a variety acupuncture treatment techniques. The technique that the doctor uses is based on your individual needs and comfort level. A: In one word, NO! You may experience a slight ‘pinch’ when a needle is inserted, but otherwise there is typically no lasting pain whatsoever. In fact, most patients find acupuncture to be extremely comfortable and relaxing. A: This depends on several factors, such as the severity of your conditions, how long you’ve had your condition and other complicating factors.. Anywhere from 1 to 20 treatments may be necessary. A: Most acupuncture treatments last about 30 minutes. Once the treatment is provided, the patient will lie in a dark, quiet room and relax (maybe even sleep) for about 30 minutes. Feel free to contact our office and we’ll be more than happy to any questions that you may have! One of the unique aspects of our clinic is our ability to perform a wide variety of chiropractic techniques. We can assess each individual patient and decide (with the patient) what technique(s) would benefit them the most. 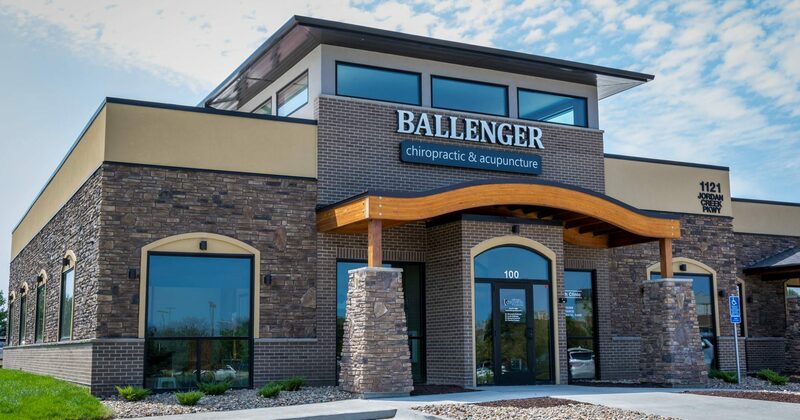 We provide a variety of active and passive therapy & rehabilitation at Ballenger Chiropractic & Acupuncture. Beyond properly aligning the body through chiropractic adjustments, we believe that improving mobility, strength and coordination are of upmost importance in order to provide long-term results. Our doctors are highly trained in the field of whole food supplementation, herbal supplementation, homeopathic and dietary recommendations. We believe that every patient should be assessed and treated as an individual when it comes to determining nutritional recommendations. Our nutritional patients receive a full consultation and assessment in order to determine their individual nutritional deficiencies and toxicities. We have are extremely adamant about only recommending the best products for nutritional support. We provide a multitude educational outlets to our patients as well as around the community. Ask us about our in-office ‘How to Stay Young’ class . Ask us about having Dr. Luke come and speak to your business, organization, club or school!